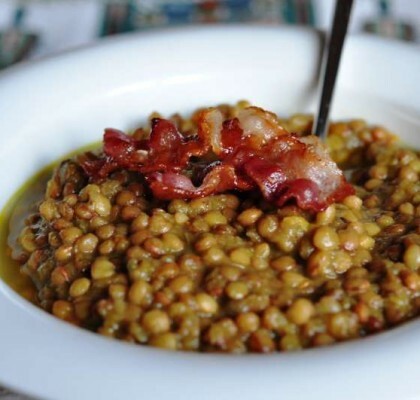 Delicious main course from northern region Lombardy, popular in Milan. 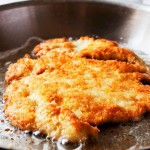 Breaded Veal Cutlets are a fast dinner solution and a great way to make the most of your leftover bread. 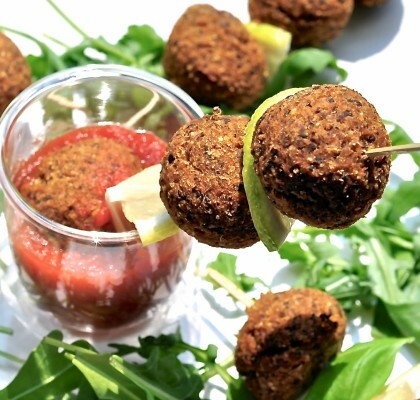 To make your own bread crumbs for these veal cutlets, simply pulse day old bread in a food processor to a coarse grind. 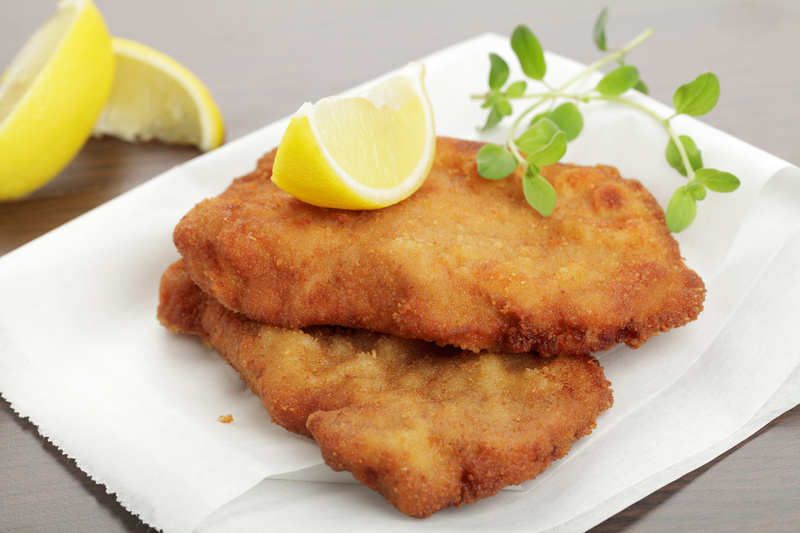 The real “Cotoletta alla Milanese” is made with veal cutlet with the bone and with a thickness of about 3 cm. To serve you can cover the bone with aluminum kitchen paper, this way is well presented. 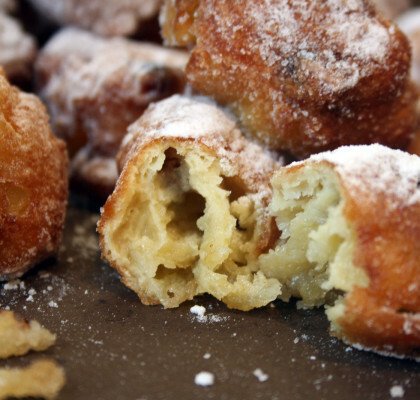 It is also popular without bone literally as “elephant ear”, a thinner larger version. Hard to say which is the best, you will judge! Compulsively delicious. 1. In a food processor, cut the bread into fine crumbs (bread should be dried not fresh). 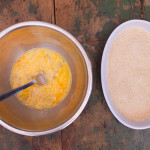 Transfer the breadcrumbs to a bowl or large plate. Beat the veal lightly with a meat mallet. In a bowl beat the eggs and break. 2. Season the veal with salt and pepper. Place the veal into the beaten eggs, coating completely. Soak the meat and let then drain the slices to slide away the excess of egg. 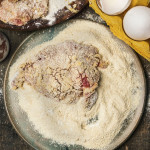 Working with 1 piece of veal at a time, cover the cutlets with the breadcrumbs pressing them well to the bread by hand, so that the bread will be fully attached to the surface, all covered, and will not risk to come off during cooking. Place the veal into the bread crumb mixture and press crumbs into the veal. Set aside on large plate and continue with the remaining veal slices. 3. Melt the butter in a pan and fry the meat. Heat 2-3 tablespoons butter in a medium non-stick skillet over medium-high heat. While the butter is still foaming add the breaded cutlets and cook until brown, not burned. 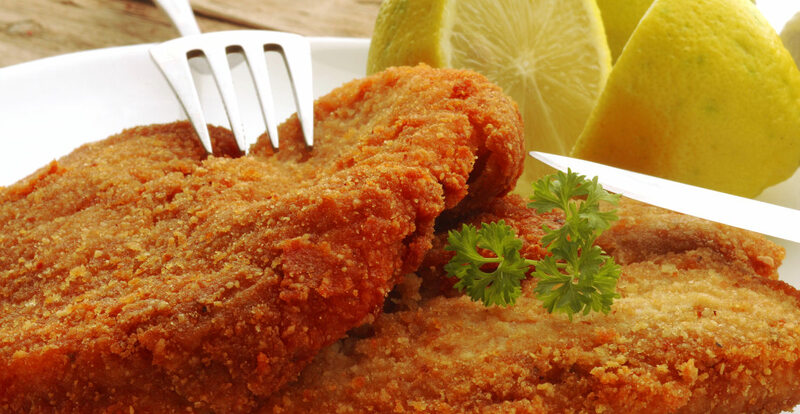 Once cooked, place the breaded cutlets on the kitchen paper towels to lose the excess cooking fat or oil, then transfer them to a serving dish and season with salt. Serve accompanied with a few slices of fresh lemon. TIP: You can replace the butter with Extra Virgin Olive Oil for a healthier option, you can use a little saucepan full of oil, and fry the meat one by one.